Donald J. St. John, of Coraopolis, passed away on Tuesday, January 15, 2019 at the age of 90. Don was born in Rochester, New York to the late Joseph and Ellen Perkins St. John. He was the beloved husband of the late Charlotte St. John and the loving father of Michael (Dawnette) St. John, Melinda (Robert) McKinnis and Timothy (Sandy) St. John. He was the proud grandfather of 11 and great-grandfather of 12. Don was a lifetime resident of Coraopolis and was employed as an electrician at Shenango, Inc. on Neville Island. He served in the US Army during World War II. Don was a member of St. Joseph Catholic Church and a member of the Knights of Columbus, of the 4th degree, St. Francis of Assisi Council #2555. He was a former District Deputy, Past Grand Knight, and Past Faithful Navigator. He was also a former Chapter President (Pittsburgh) and the 2003 James J. Palmer Award Recipient (the Pittsburgh Chapter Knight of the Year). Friends are welcome to visit on Saturday and Sunday from 2-4 PM and 6-8 PM in the Sanvito Funeral Home, 1316 Fourth Avenue, Coraopolis. 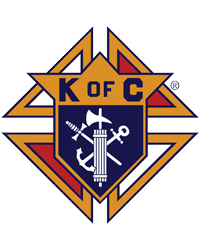 The Knights of Columbus will hold a Prayer Service on Sunday at 7 PM in the funeral home. On Monday a Prayer Service will be held at 9:30 AM in the funeral home with a Mass of Christian Burial at 10 AM in St. Joseph Catholic Church. Interment will follow in Resurrection Cemetery.